Today, the Faculty of Social Sciences (FSHS) academic staff decided to enter a strike, following government’s lack of response to students’ and their demands. The decision of the Assembly of academic staff of the FSHS expressed their inspiration from students and indignation with the lack of response by the ministry of education. 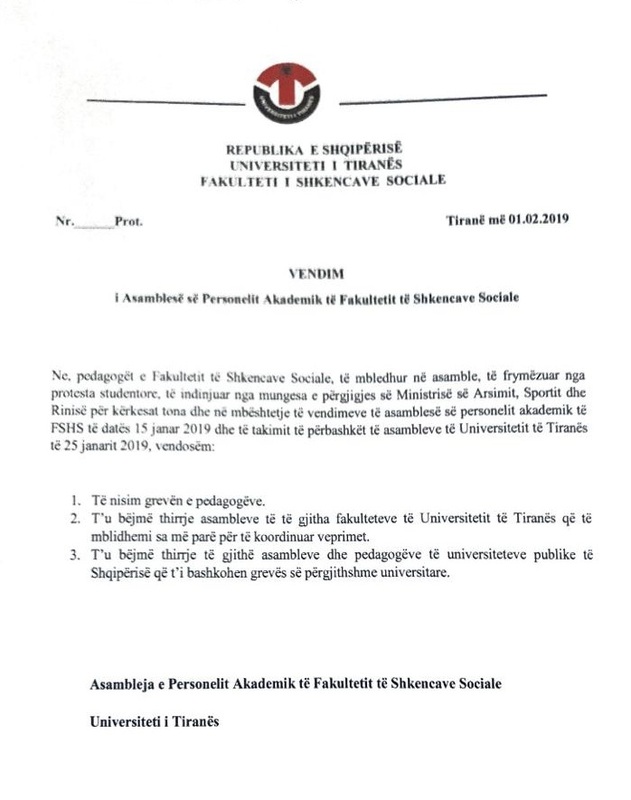 The FSHS Assembly decision called on all other faculties of the University of Tirana (UT) to enter a general university strike. Earlier today representatives of the academic staff of the UT had a failed meeting with the Minister of Education Besa Shahini to discuss student demands. According to the professors present in the meeting, Minister Shahini dodged their concerns and tried to explain to them government’s good work in the field of education, and specifically in meeting student demands. The professors said they felt insulted. Minister Shahini also confirmed that she had called the meeting to inform some of the professors about the work the ministry is doing, which according to her they seem to have misunderstood. 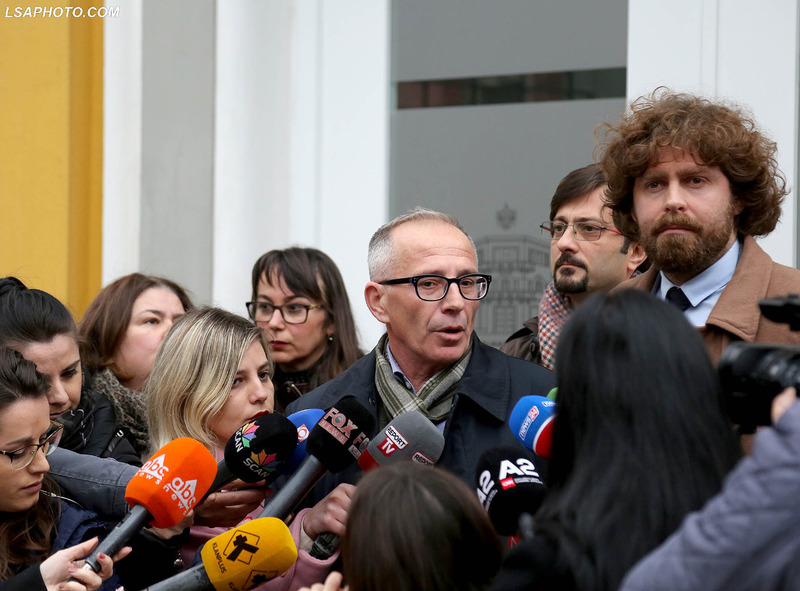 Last week, the academic staff of the UT demanded the government to meet all student demands before February 2nd, otherwise they would call for a general strike of all universities in the country.